Marchers are calling for climate action. Tens of thousands of people took to the streets in Washington D.C. on Saturday for the People's Climate March, calling for climate action on President Donald Trump's 100th day in office. (Astrid Riecken/Getty Images) People gather near the U.S. Capitol for the People's Climate Movement before marching to the White House to protest President Donald Trump's environmental policies, April 29, 2017 in Washington, D.C.
"We're blown away by the numbers," People's Climate Movement national coordinator Paul Getsos said in a statement Saturday. 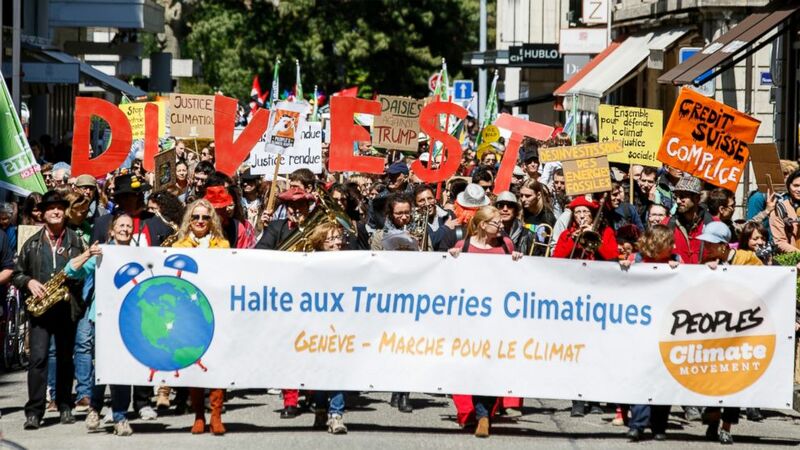 (Salvatore Di Nolfi/EPA) About five hundred protesters hold placards reading, "Stop climactic Trumperies" during the World Climate March in Geneva, Switzerland, April 29, 2017. 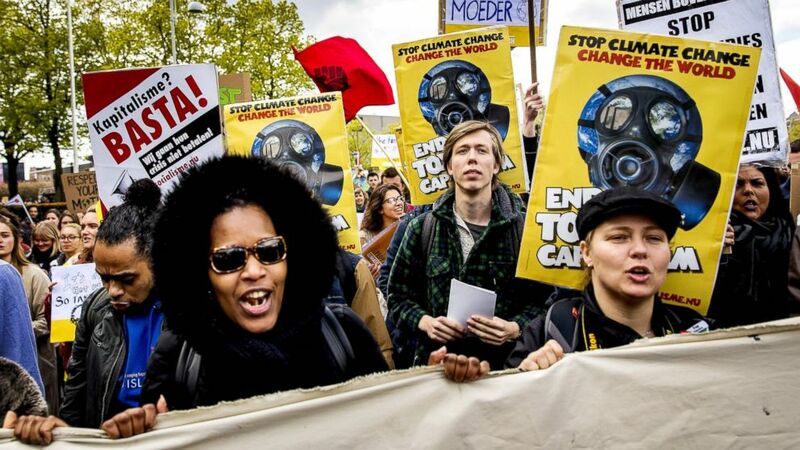 The event stems from the historic People's Climate March on September 21, 2014, the eve of the United Nations Climate Summit. 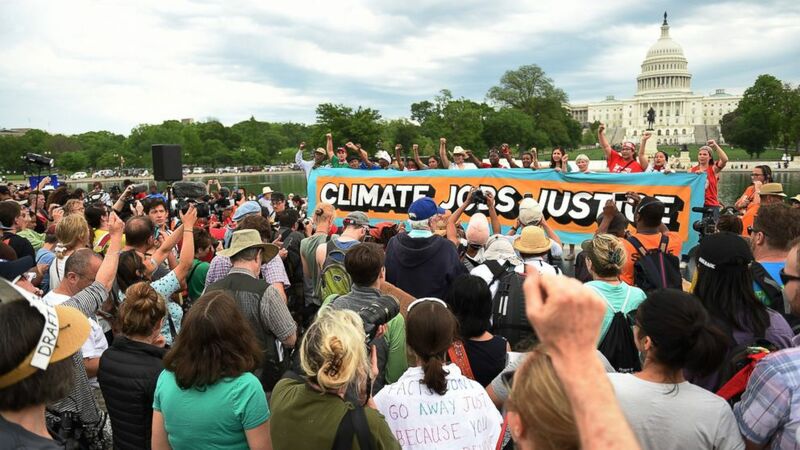 The march, organized by the People's Climate Movement, drew 400,000 people to the streets of New York City, demanding that global leaders act on climate change. (Koen Van Weel/AFP/Getty Images) Thousands of people take part in the People's Climate March to call for an ambitious climate policy, April 29, 2017 in Amsterdam. This year's march coincides with Trump's 100th day in office, though organizers said it was planned ahead of the U.S. presidential election. The event aims to pressure leaders to act on climate change while creating family-sustaining jobs, investing in front-line and indigenous communities and protecting workers who would be affected by the transition to a clean, renewable energy economy. "This march grew out of the relationship building among some of the country's most important progressive organizations and movements," Getsos said in a statement Saturday. "There was a simple demand -– act. The crowds will reconvene at the Washington Monument grounds to listen to music and speakers from around the country, including an indigenous community leader from the Gulf Coast, an Iraq war veteran, a South Carolina pastor, a Muslim imam, a Las Vegas student and a nurse affected by Hurricane Sandy, according to organizers. Celebrities, including Leonardo DiCaprio, were among those marching in Washington. 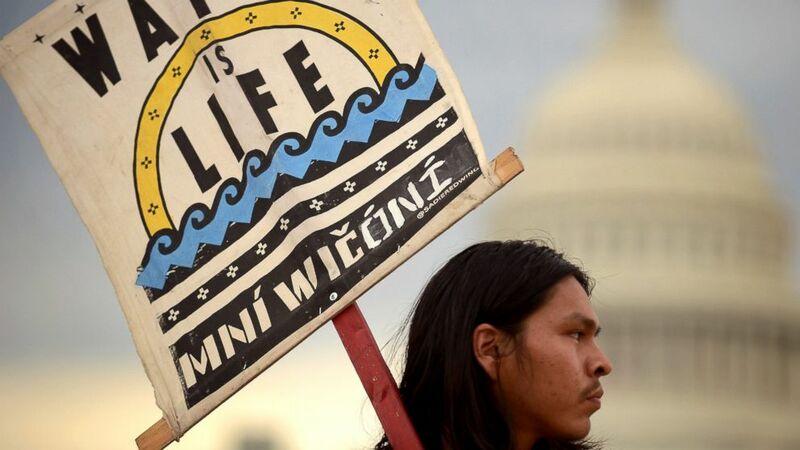 The actor posted a photo on Twitter after the march with a caption saying, "Honored to join Indigenous leaders and native peoples as they fight for climate justice." ABC News' Lucien Bruggeman contributed to this report.